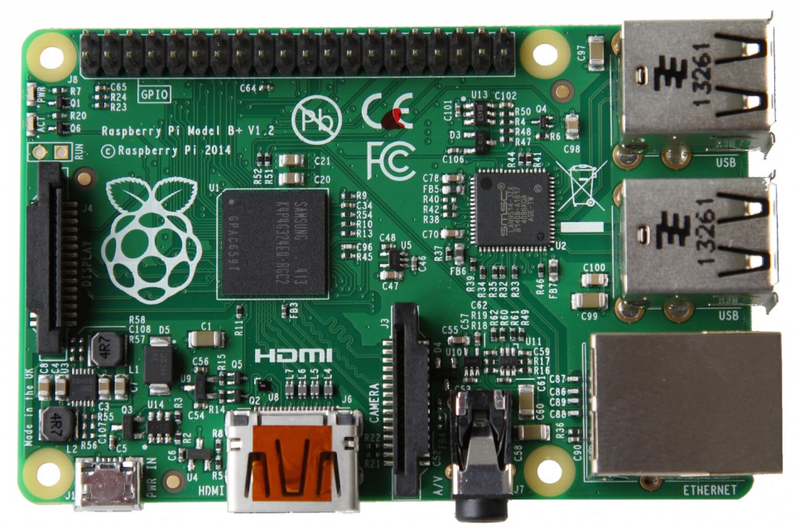 Have you bought a Raspberry Pi 3 Model A+, with its Model 3B+ equalling power and graphical performance? 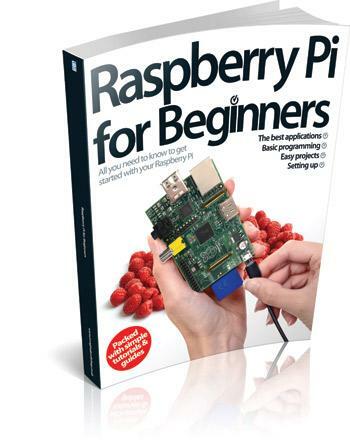 Then start your coding journey with my free Learn Python on the Raspberry Pi tutorials. The European Space Station Mission's Space Lab Team have announced their Mission Zero Astro Pi coding challenge. Anyone can have a go - even if you don’t own a Raspberry Pi - just use the Astro Pi, Camera module and Sense HAT simulation. 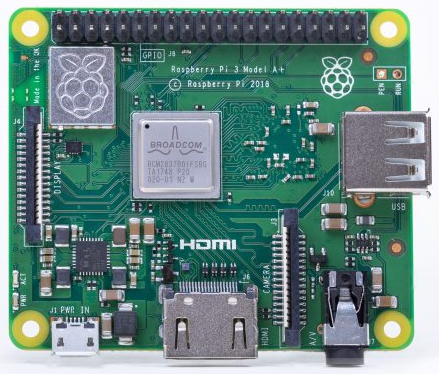 Did you buy a Raspberry Pi 3 Model B+, with its superior processing power, graphical performance and networking capabilities? Then why not start your coding journey with my free Learn Python on the Raspberry Pi tutorials. Learn how to code and run MicroPython programs on the micro:bit board using a web browser or the free-to-download Mu editor. Tutorial code examples cover the LED display, buttons and the built-in sensors. My popular Learn Python on the Raspberry Pi tutorial series is now Python 3 compatible. Where appropriate I make references to Python 2.7 differences (such as for the tkinter GUI posts). On 19th December 2017 my page view count passed the 250,000 mark. The most frequently read posts are from my Learn Python on the Raspberry Pi Tutorials. However, my micro:bit MicroPython Coding Tutorials are also popular, as are my Java Coding posts. 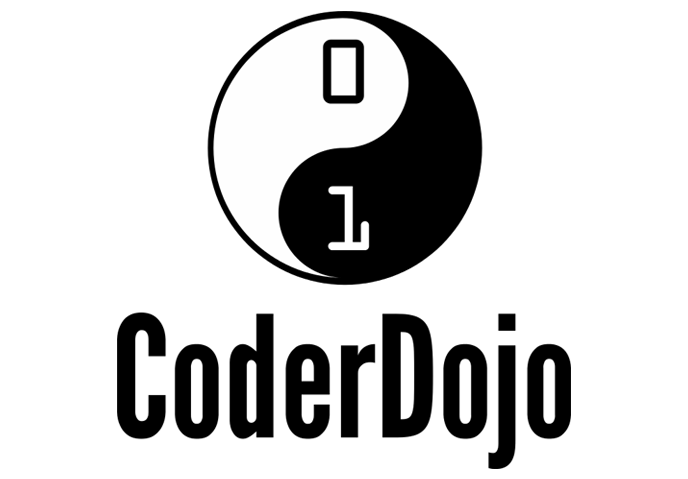 I'm pleased to report my micro:bit Python coding CoderDojo handouts are now on the official Coder DojoDojo website. And you'll find additional micro:bit Python coding information in my MicroPython coding tutorials. 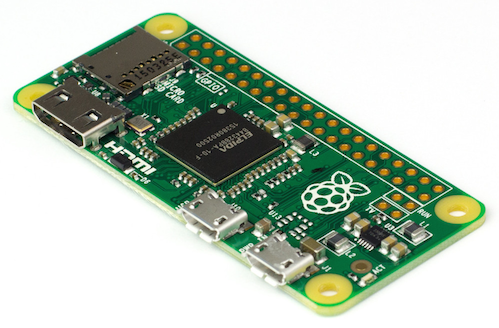 To celebrate its 5th birthday the Raspberry Pi Foundation has launched a new $10 Raspberry Pi Zero with added WiFi and Bluetooth wireless connectivity. Find out how to program it with my free Learn Python on the Raspberry Pi tutorial. Micro Mart magazine readers can discover how Swift Playgrounds for the Apple iPad aims to attract newbie coders, what's different about the Raspberry Pi's new PIXEL graphical desktop and why the cloud-based apps and services in Google's G Suite are both smart and intelligent. Starting late September Micro Mart readers can play along with my new 8-part micro:bit Coding mini series and create Micro Python programs using the multi-platform Mu Editor. As my publication total reaches the 300 mark Micro Mart readers can look forward to my Ubuntu MATE on the Raspberry Pi review and, as my Alphabet Pi series concludes, it's replaced by a new Linux A to Z series. Coming soon in the weekly Micro Mart magazine I investigate how Google has Merged Chrome OS and Android, examine the Astro Pi Project Science Data, and explain what's new in Google's Wear 2.0 update. Coming soon in the weekly Micro Mart magazine I talk about Conversational User Interfaces and examine the big announcements at Google's I/O 2016 developer conference. Check out the weekly Micro Mart magazine as I ask if we're about to see the Death of Mozilla, plus my Guide to GitHub and a review of Raspbian Jessie coding languages on the Raspberry Pi. Check out the weekly Micro Mart magazine for my Alphabet Pi series which meanders through Raspberry Pi technology from A to Z. Read my thoughts on the OpenAI initiative. 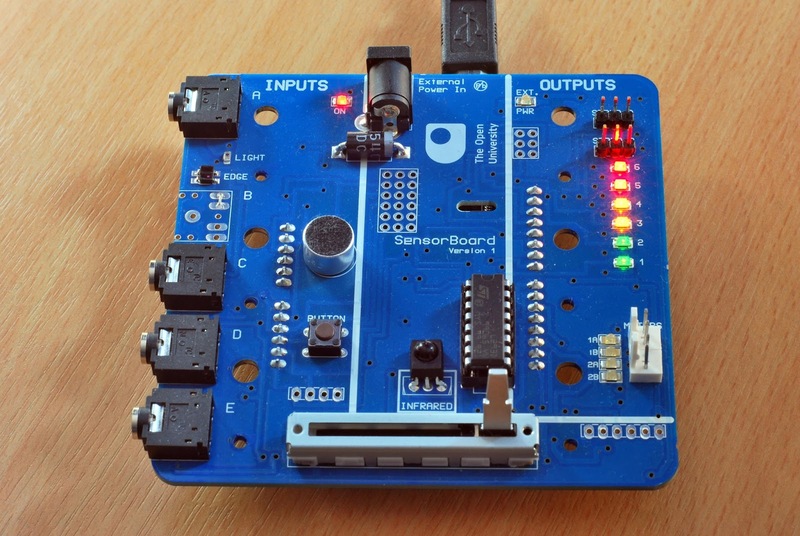 And hear about the much delayed update BBC micro:bit board and its free online coding tools. Buy the weekly Micro Mart magazine for my Microsoft Surface family device comparison, affordable Biofeedback EEG Headsets review, the latest Battery Technology innovations and an introduction to Raspberry Pi HATs. Upcoming issues of the weekly Micro Mart magazine will publish my review of the official Raspbian Jessie release, an introduction to music coding with Sonic Pi and my review of the recently announced and hugely popular $5 Raspberry Pi Zero. 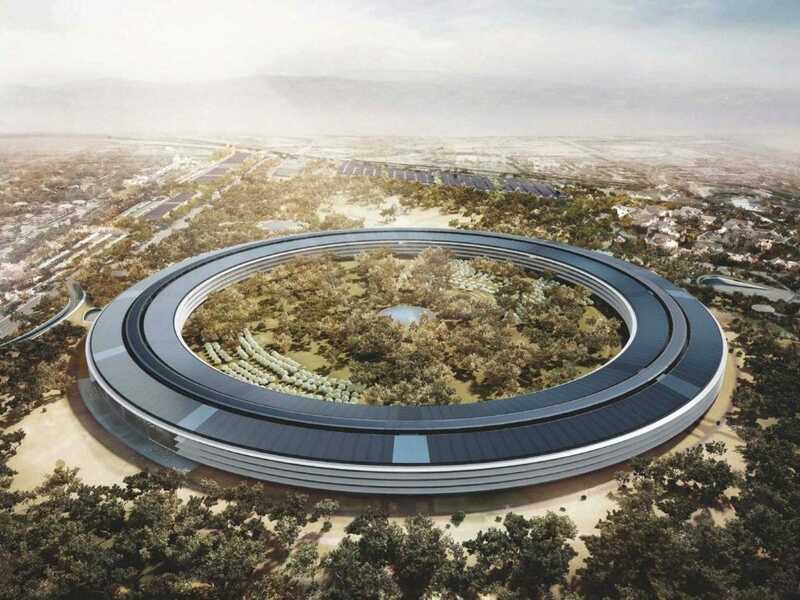 Look in the weekly Micro Mart magazine include an investigation into Apple's environmental credentials and Apple's 'Spaceship' Campus 2 project; plus two Raspberry Pi articles on the official 7" Touch Display and the CamJam EdutKits. My ongoing weekly Micro Mart magazine App Inventor 2 series shows you how to design, build, test and deploy Android apps for web browsing, sketching, animation, GPS location/route mapping, speech recognition, multi-language translation, QR code scanning and more. Upcoming issues of the weekly Micro Mart magazine include an examination of the New Met Office Supercomputer, the possibilities of Smart DIY Wearables and what to expect from a The $9 Computer. 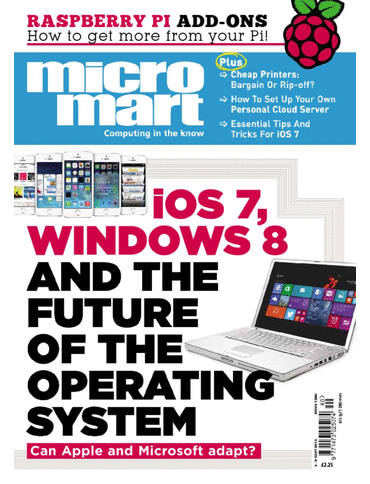 Future issues of the weekly Micro Mart magazine include a full analysis of the Microsoft Build 2015 event, the Windows 10 Edge web browser, the new Office Sway, the powerful Krita 2.9 painting program plus insights into the Apple & IBM partnership. My six-part Microsoft Research Projects series starts today in the weekly Micro Mart magazine. 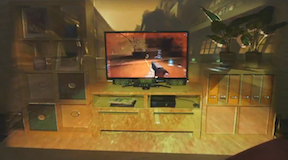 The list is Hardware and Devices, NUI, Images and Graphics, Gameplay, 3D Vision and AR and Beyond Silicon Transistors. Coming soon in the weekly Micro Mart magazine I'll examine the anything-goes world of Microsoft Garage, review Microsoft's new Surface 3, take a look the potential of the Microsoft Band health and fitness wearable device. Coming soon in the weekly Micro Mart magazine I'll examine the Raspberry Pi 2, review the low-cost HP Chromebox desktop, simplify Android app creation with App Inventor 2 and explain what's new in Android Lollipop. 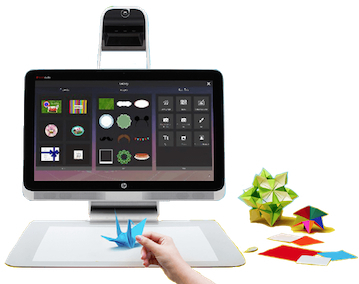 Coming soon in the weekly Micro Mart magazine I'll uncover Jony Ive's Design Secrets, check out the 'Blended Reality' HP Sprout desktop and ask Is The Apple Watch Destined For Failure. Plus there's my weekly Tech Origins articles. Coming soon in the weekly Micro Mart magazine I'll investigate the Digital Stylus Revival, explain all about the Quantum Computers from D-Wave Systems and show why the mobile industry is at risk from the Apple's SIM. Plus there's my weekly Tech Origins articles. I'm happy to announce this week's publication of my Raspberry Pi Model B+ vs Intel Galileo Gen2 article in Micro Mart magazine nudged my publication total over the 250,000 word mark. 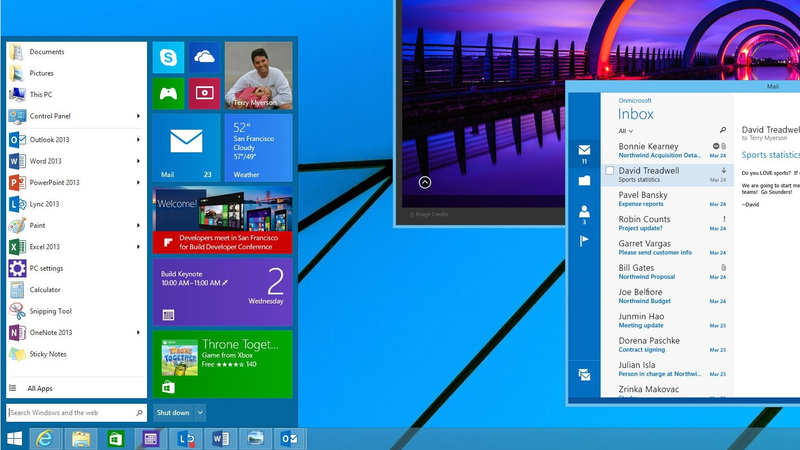 What can we expect to see in Windows 10 (codename Threshold)? We'll know more after Microsoft's 30 September media event. In the meantime here's my collection of likely features. Here's why I think Apple has gone in the wrong direction with its replacement for the ageing Objective-C development language. There'll soon be a new addition to the Raspberry Pi family. 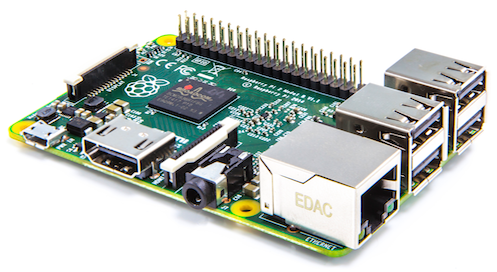 The new Compute Module contains the guts of a Raspberry Pi in a brand new format. 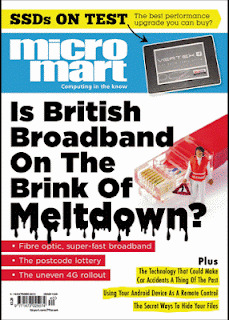 Find out more in my Micro Mart article, out on 1st May (issue 1309). 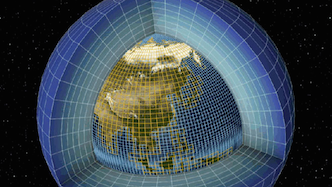 In the era of big data the Data Scientist in an increasingly important figure. 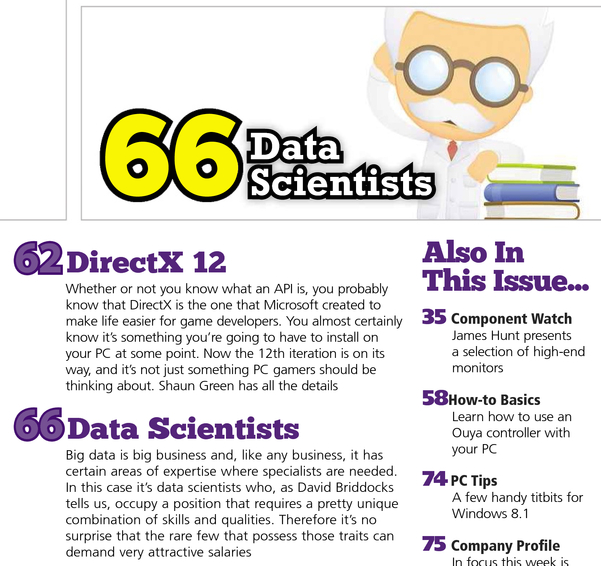 Discover the challenges they face, the tasks they perform and the skills they need in my What's a Data Scientist article in today's Micro Mart magazine issue 1308. My weekly Tech Origins series continues in the Micro Mart magazine with the Mobile Phone, Game Intelligence, Personal Computer, Cryptography, Supercomputer, Hypertext, PostScript, Laser Printer, CompuServe and Word Processing. Samsung recently announced a plan to open a swathe of Apple-like Experience Stores across Europe. In issue 1300 of the weekly Micro Mart magazine I dig into the details of this initiative and uncover the proposed partnerships with Carphone Warehouse and Phones 4u. Are you a fan of Mojang's Minecraft? 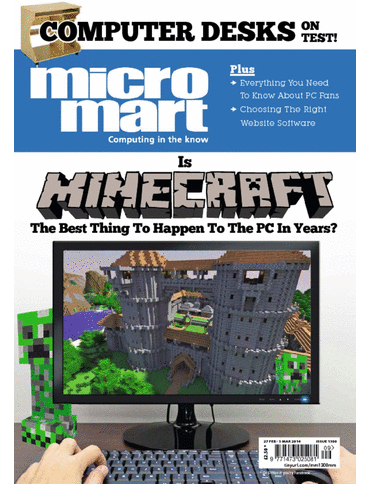 In Micro Mart magazine issue 1297 I explain how to host a Minecraft game on your PC with the CraftBukkit server, then create custom mods built using the Bukkit plugin API and the Java development language. My Tech Origins series continues in the Micro Mart magazine with the ATMs, LCD Screens, Internet, Pocket Calculator, Microprocessor, Email, Unix and Ethernet. 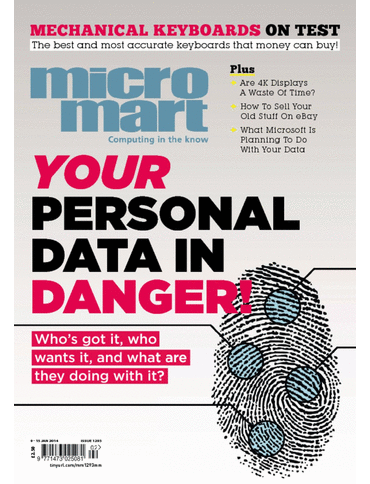 Inside Micro Mart magazine issue 1293 I reveal the plans from Microsoft (and other industry giants) to address user data security in response to NSA/GCHQ data infiltration allegations in the Edward Snowdon documents. In the process I describe a technology called Perfect Forward Security. In the two-week Christmas edition of the Micro Mart magazine I explore the world of blocky tech. 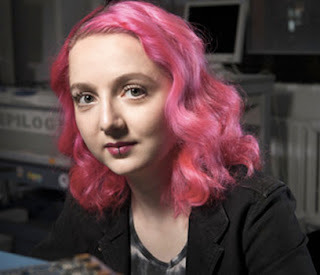 Topics include Minecraft, LEGO Mindstorms, littleBits, Korg Synth Kit, Raspberry Pi Kano, self-assembly robots, modular smartphones/laptops, blocky coding languages and 3D printing. 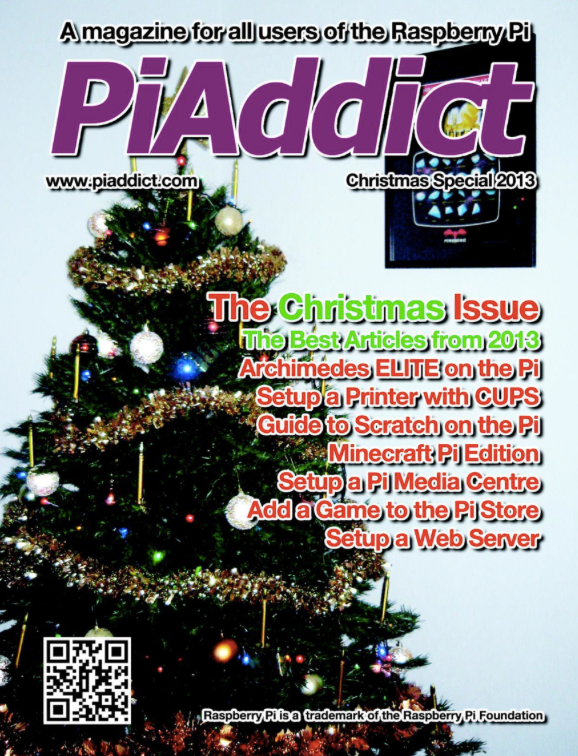 The special Christmas edition of the PiAddict magazine is a collection of the seven best 2013 articles. 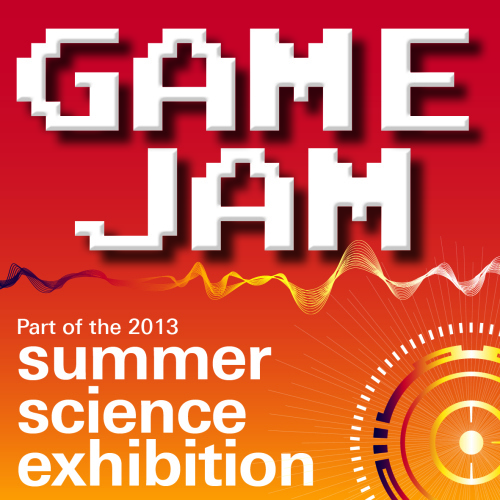 I'm please to say the list includes my Raspberry Pi Minecraft Introduction and Guide to Scratch features. My latest Micro Mart magazine feature is all about how to start coding. 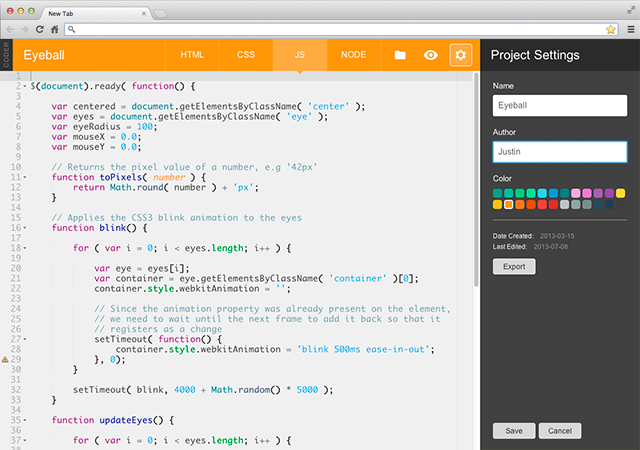 It's a content-rich guide for anyone taking their first coding steps. Topics include motivation, project scenarios, ideal languages, learning resources, online tutorials and coder communities. My weekly Tech Origins series continues in the Micro Mart magazine with the Integrated Circuit, Machine Intelligence, CAD/CAM, Robotics, Database and Video Games. Interested in coding with Java on the Raspberry Pi but not sure which Pi-friendly editor to use? 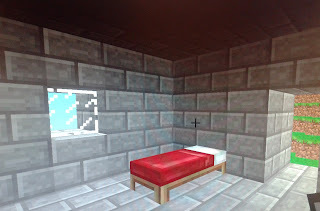 Then check out my Geany, DrJava, Greenfoot and BlueJ editor blogs, plus Minecraft hacking with BlueJ. By including the first of my weekly Tech Origins series today the Micro Mart magazine nudged my publication word count to 200,000. The initial four subjects for the series are The Transistor, The Transistor Radio, Magnetic Disk Storage and Higher Level Languages. 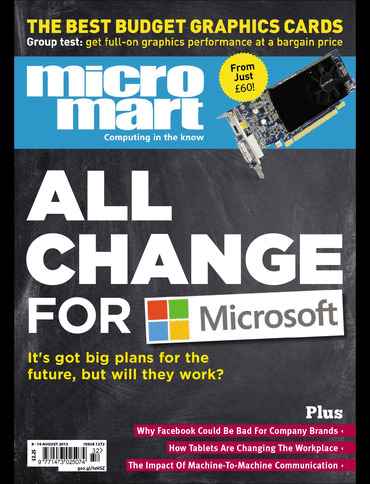 I'm delighted to announce my One Microsoft article, an analysis of Steve Ballmer's vision for Microsoft's future, is the cover feature on this week's Micro Mart magazine (issue 1272). This issue also contains the first of my three part Machine-To-Machine Communications series. 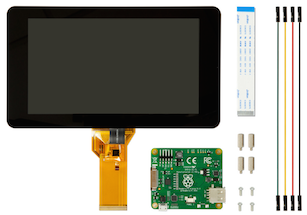 August's Raspberry Pi Potpourri includes DIY camera module lenses, building a smarter Pi, remote Pi control from an iPad, what those on-board LEDs mean and a NOOBS display tip. It's all in Micro Mart issue 1271. 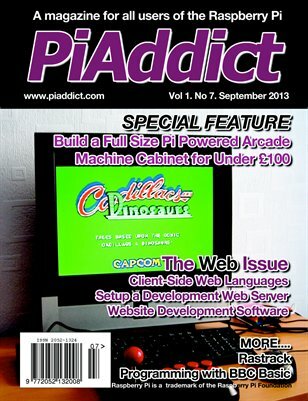 Three of my articles have been published in an Imagine Publishing Raspberry Pi bookazine. The bookazine's comprehensive contents include basic setup, Linux, apps, coding and hardware projects. It's available in book or ebook form. The publication of July's Raspberry Pi Potpourri and a Byte Size Languages item on Smalltalk in Micro Mart magazine issue 1267 nudges my publication total over the 100 article mark. 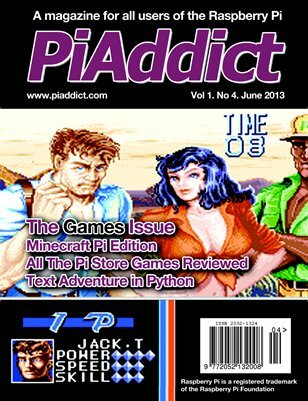 The June edition of the PiAddict magazine (issue 4) has published my Pi Minecraft Introduction article. It covers game installation, basic gameplay, multi-desktop tips and an overview of Mojang's Python hack modules. 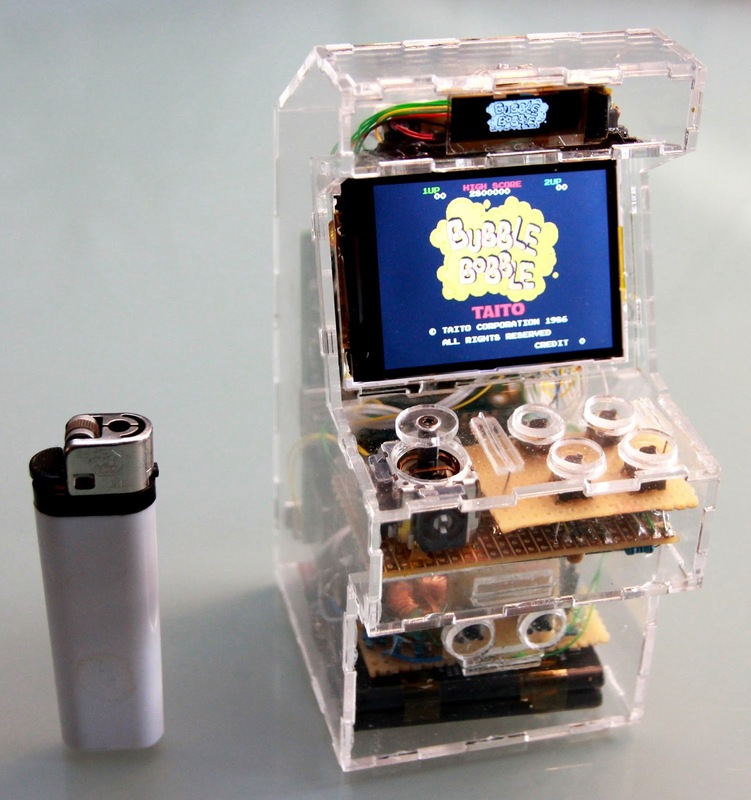 Helping you make the most of your Raspberry Pi computer my June Potpourri includes how scientists are using the Pi, a roundup of new Pi-like boards and details of a tiny Pi arcade machine. It's all in Micro Mart issue 1263. Helping you make the most of your Raspberry Pi computer my May Potpourri has the usual mix of news, community events, hardware, software, games and tips. It's all in Micro Mart issue 1259. 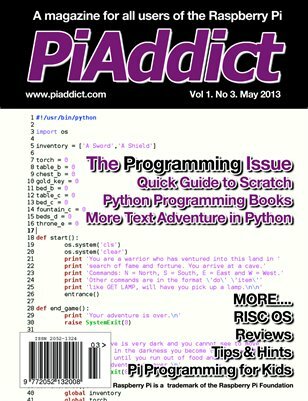 The May edition of the PiAddict magazine (issue 3) has published my Guide to Scratch article. 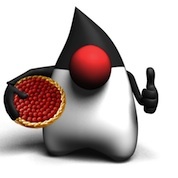 This programming-theme issue, and all previous issues, are available on the MagCloud site. Part two of my Micro Mart tutorial (issue 1258) on hacking Minecraft walks you through building a hack module in Python. Function examples include drilling down through layers of blocks and crafting rooms. Earlier this year Mojang released their free Minecraft: Pi edition - complete with Python API. 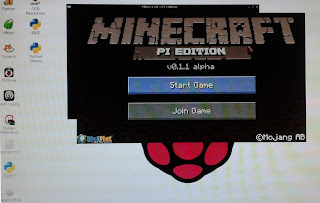 In part one of my latest Micro Mart tutorial discover how to hack Minecraft with Python on your Raspberry Pi. Helping you make the most of your Raspberry Pi computer my April Potpourri has the usual mix of news, community events, hardware, software, games and tips. It's all in Micro Mart issue 1255. 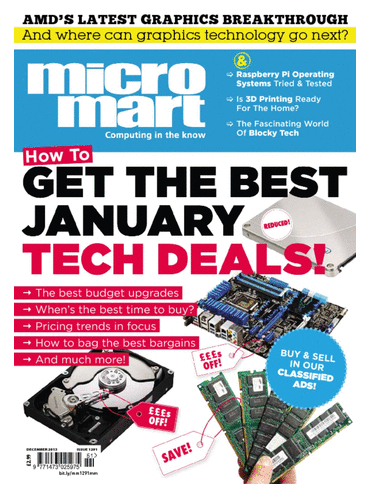 The March edition of my Raspberry Pi Potpourri is out now is Micro Mart magazine issue 1251. Interested in the latest in-car technology? My feature article talks about intelligent LED headlights, head-up displays, wireless device charging, gesture/voice control, in-car video conferencing, eCall, and much more. 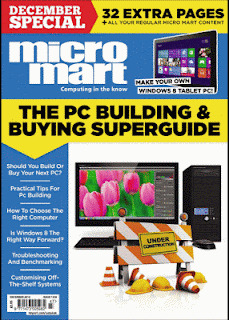 It's all in Micro Mart issue 1253. Want to make the most of your Raspberry Pi computer? Then take a look at my monthly Raspberry Pi Potpourri for news, community events, hardware, software, games and tips in Micro Mart issue 1251. Nanotechnology has immense potential. 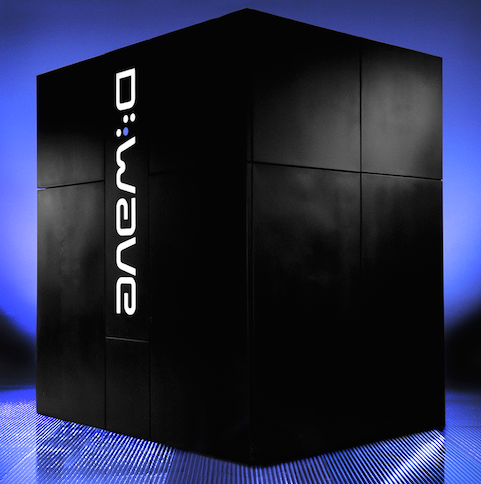 Our future computing hardware could be radically transformed. Find out more with my six page feature article inside issue 1245 of the Micro Mart magazine. Would you like to understand programming language origins, capabilities, strengths and weaknesses? 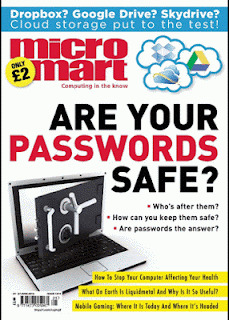 Then take a look at my new weekly 'Byte Sized Languages' series, which starts today in Micro Mart magazine issue 1242. Looking for some interesting and fun accessories for your £25 Raspberry Pi computer? Maybe as a Christmas stocking filler? 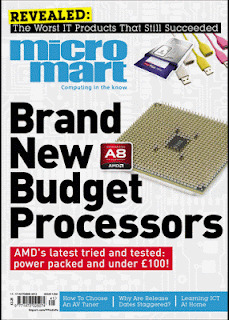 Then take a look at my ‘Accessorise Your Raspberry Pi’ article in Micro Mart magazine issue 1239. 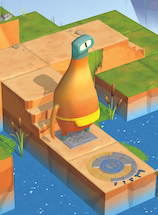 Would you like to delve into the world of animation and game creation? Do you want to bring your imaginative ideas to life without learning a software development language? 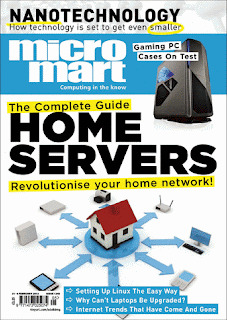 Then take a look at Micro Mart issue 1236. 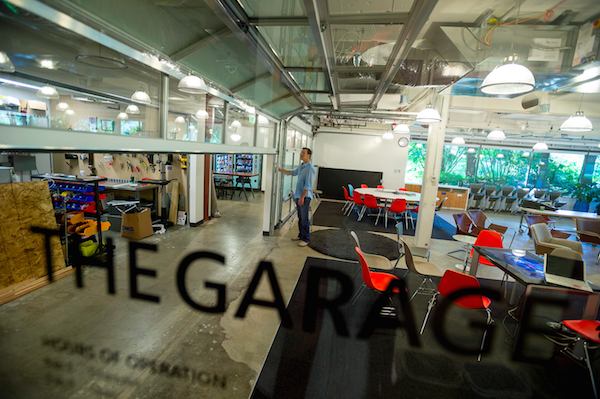 The Raspberry Pi world moves at a frenetic pace. Catch up with the latest manufacturing, availability, software and community news in my Raspberry Pi Updated article - out now in Micro Mart issue 1233. Are you curious about the new wave of dual purpose tablet and laptop devices? 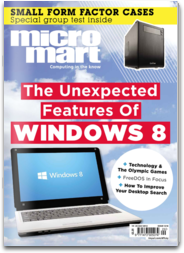 Discover their potential, including Microsoft's new Windows 8 Surface devices, in my six page feature article - out today in Micro Mart issue 1232. Do you use Google products and services? Do you want to access and manage your data? 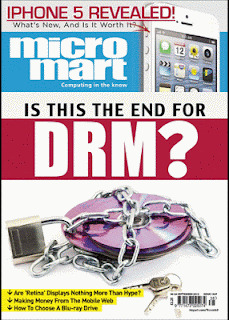 Find out how the Data Liberation Front can help in Micro Mart issue 1230. Road accidents wreck lives, destroy families, create financial havoc and stress the NHS system. Find out how Advanced Driver Assistance Technology will significantly reduce the number of deaths and injuries in Micro Mart issue 1229. Google, Facebook are certainly struggling. So, who will find the key to mobile marketing? Find out in issue 1227. 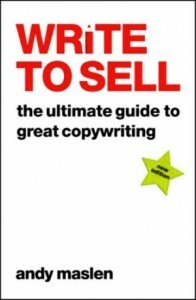 A focussed yet comprehensive guide to the craft of copywriting. A rich source of inspiration and advice. And now a constant companion in my own copywriting activities. Would you like to create fun and useful programs for your Raspberry Pi? Learn how write Python code with my new six-part series starting in Micro Mart issue 1220. Looking for a fun way for the kids to spend their summer holidays? Which skills do you need to create high impact websites? Find out in Micro Mart issue 1219. 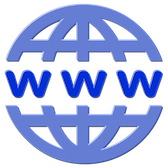 It's the biggest shakeup of the domain name system since the popularisation of the web. Soon there'll be hundreds of new domain name suffixes. Find out what's really going on in Micro Mart issue 1218. What's the potential for a super-strong metallic alloy with glass-like properties? Will a developer-focussed, Ubuntu-based laptop herald the start of a new range of Dell PCs? 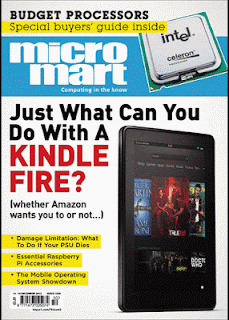 Find out in Micro Mart magazine issue 1214. Work. Something most of us cannot avoid. So, why not turn it into a positive and happy experience with this attainable philosophy. 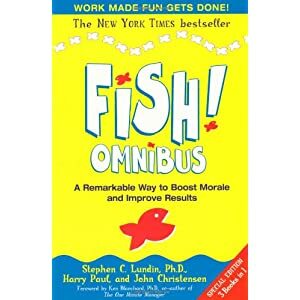 An excellent book which explains how to design and create story-based presentations - and banish bullet points forever. 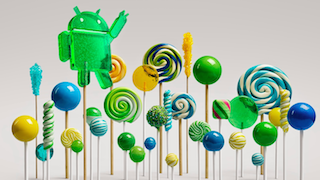 Android-powered smartphones are orbiting the Earth. Who put them there? What are they doing. What does it have to do with Luke Skywalker? Find out all this and more in Micro Mart magazine issue 1210. I've passed the 100,000 word mark for my article publications. What is a smart key fob and what can it do? Do you know what 'big data' is all about? Read about them both in Micro Mart magazine issue 1207. Are you a would-be author? How about creating your own e-books? 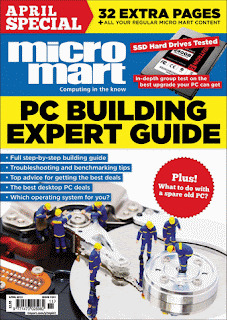 Services, tools and editors - it's all in Micro Mart magazine issue 1204. Is Apple about to enter the mobile payment arena with an iWallet product? In Micro Mart magazine issue 1203 I investigate the evidence. 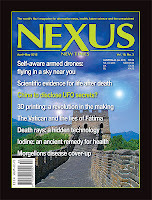 The April/May edition of the Nexus magazine has published a slightly condensed version of my Affordable 3D Printing article. An impressively comprehensive book on the secrets of effective SEO practice and implementation. 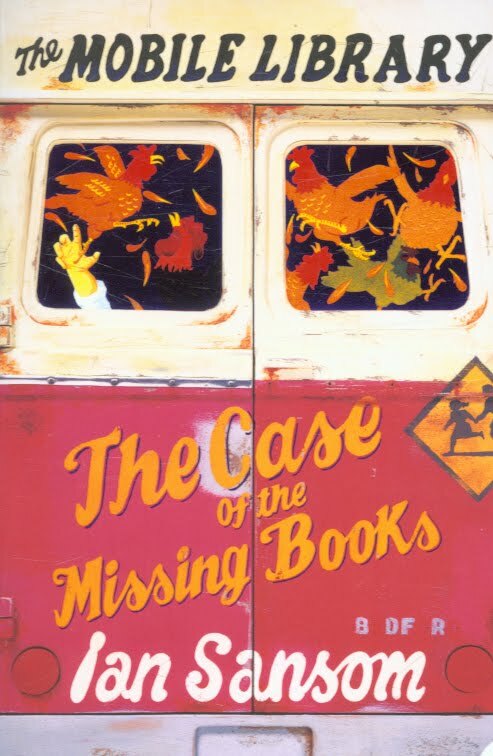 An entertaining book featuring the eccentric librarian Israel Armstrong and part of Ian Sansom's 'The Mobile Library' series. A very comprehensive Excel reference book with attractive page layouts and a large collection of downloadable samples. CSS is an essential component in website design. So, hot on the heels of my previous HTML guide is this two part introduction to CSS. 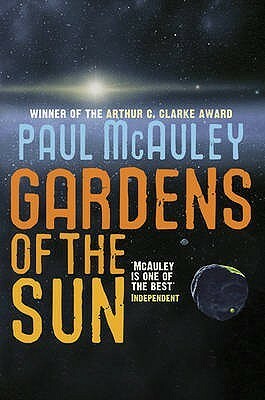 A thoroughly enjoyable sequel to his equally impressive The Quiet War, with their wonderfully imagined gene-engineered habitats. My article uncovering some of the most innovative and intriguing 3D printing news stores of 2011 is published in Micro Mart today. 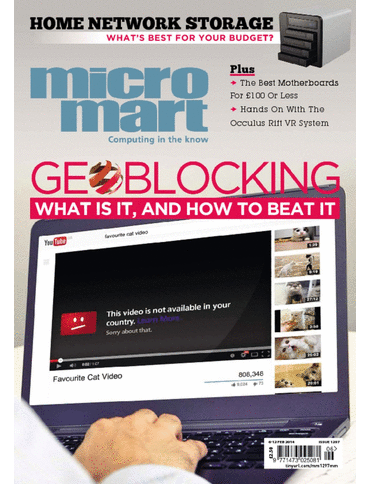 This week's Micro Mart magazine, issue 1191, contains my six page article on getting started with HTML. 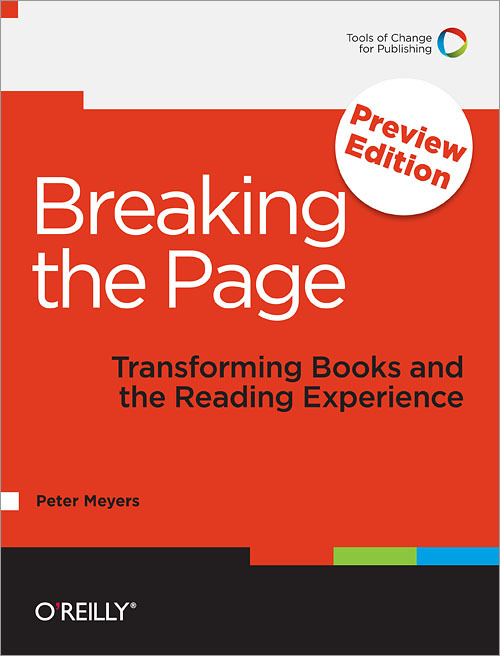 An intriguing free preview edition of what promises to be a 'must read' book for anyone interested in the future of ebook creation and publishing. 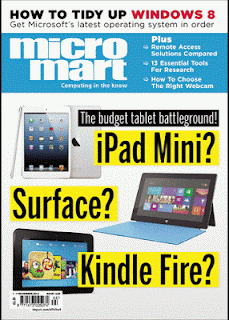 The Micro Mart magazine is now available as a iPad/iPhone app. Download the free app to access the magazine store and back issues. 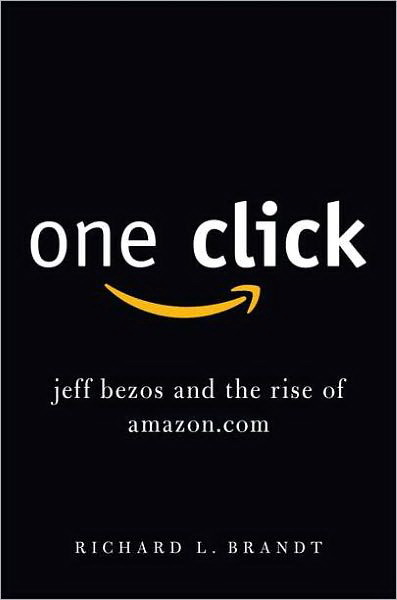 A fascinating look at the life of Jeff Bezos and the Amazon story, brilliantly told by Richard L.Brandt. 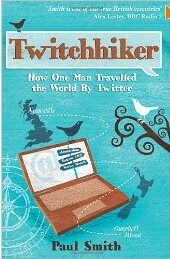 Having recently joined the O'Reilly Blogger Review Programme here's my maiden book review. 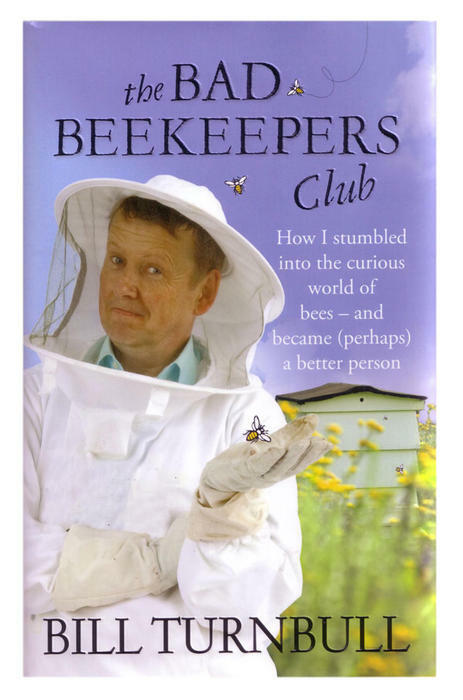 Why are beekeepers so passionate about their hobby and what does it entail? The answers are in this highly entertaining book. 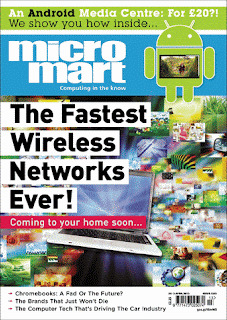 A hat trick of publications Micro Mart issue 1183, with a series article, a journalistic article and a product review. Micro Mart issue 1182 marks the start of my new seven part series which takes an in-depth look the challenges faced by software programmers. Time. One of life's most precious assets. 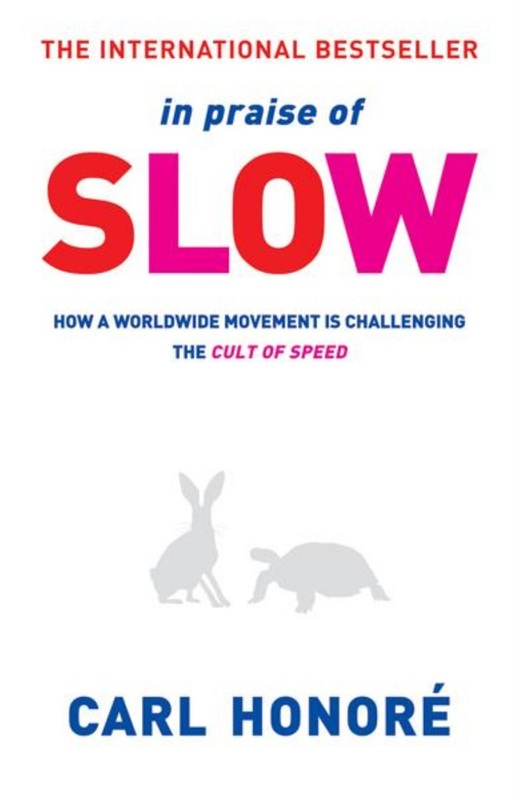 Rediscover the beauty of slow with this thought provoking book. 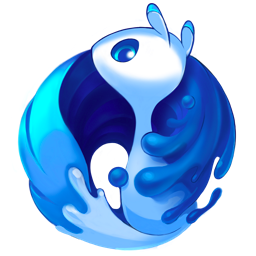 Did you know it has a brand new web browser called Silk, that captures your every move, on every web page? An epic 18,848 km journey based on trust, skilfully wrapped up in an entertaining book. Professional hints and tips on obtaining quality results with your very own cappuccino machine. 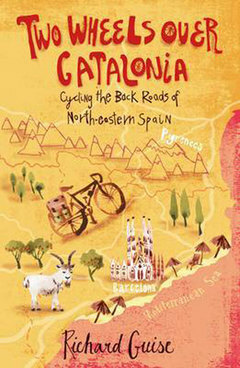 A real taste of Catalonia, its diverse landscapes, traditions, foods and, of course, its people. 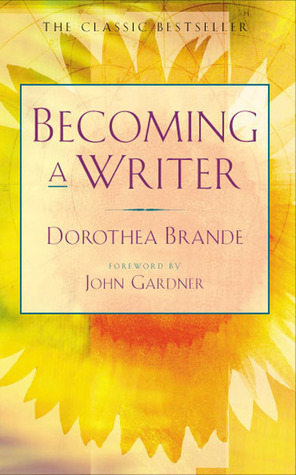 A thoroughly encouraging read with sound advice and a positive tone, from an author far ahead of her time. News of three more articles in my Taking Control series for the Micro Mart magazine.